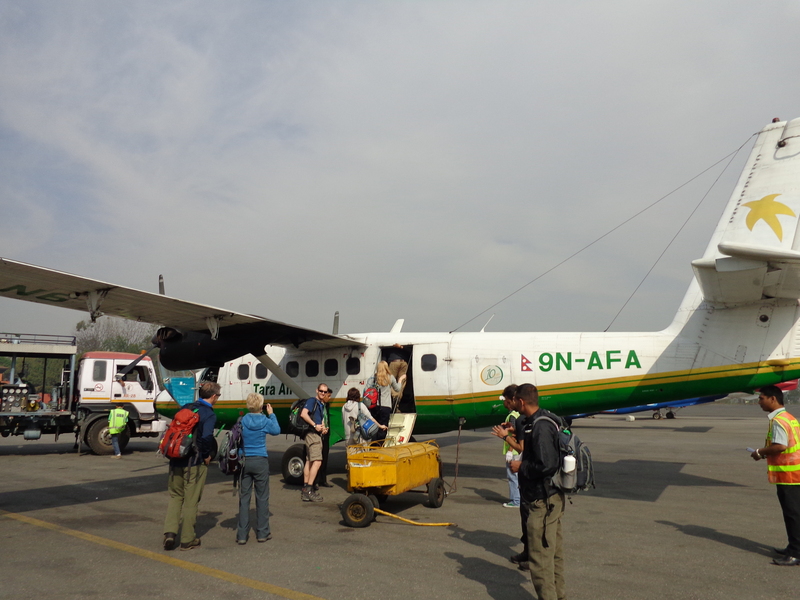 Finally, the day we’d all been waiting for-Fly to Lukla day. 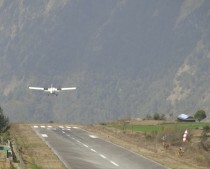 So today was supposed to be our ‘Fly to Lukla Day’. After a 4.30am wake up, a 5am meet up and an alleged 6.30am flight, we sat in the airport for 8 hours to finally be told we could board our flight. It was SUCH an interesting wait, different personality types coming through-the optimists, the pessimists, the practical, the quiet, the vocal, the watch and wait, the do nothing (Chitra, our guide). I’ll digress from the diary part and just make a little note of the actual plane journey. 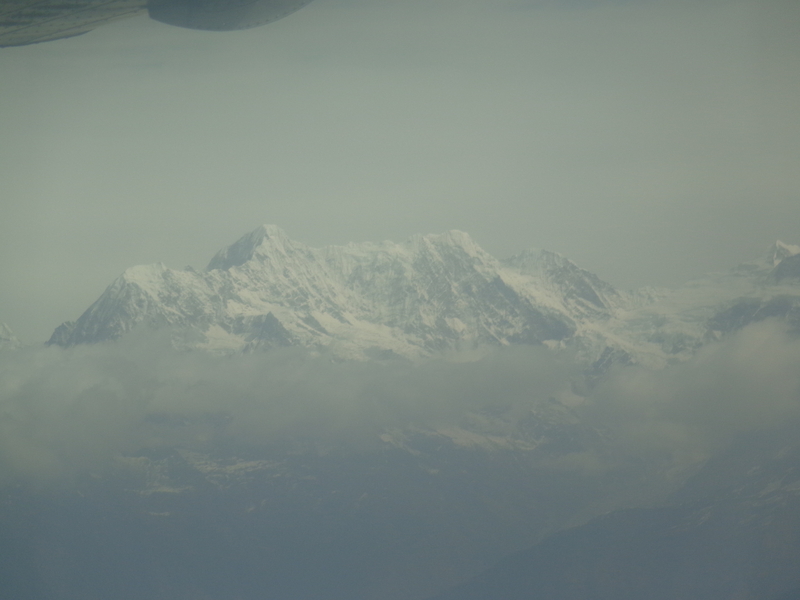 I’m not sure why but although I’d heard horror stories about the plane and the landing strip etc I actually fell asleep on that first flight (the one that turned around and went back to Kathmandu). Maybe I was just so exhausted from pretending to be a patient person for 8 hours that my brain needed a little nap, or maybe I’m just plain stupid to not have thought about how scary that flight actually was, but for me it was totally fine. In fact, it even had an airhostess and everything who was the cutest wee thing ever! We got a brief safety demonstration, ‘This is the safety card, read it’ and hard boiled sweets for the landing. What more could you ask for?! But I know a lot of people were apprehensive about that flight, hopefully some of the views from particularly the left side of the plane alleviated some of that stress. ‘’The plan now is, up for 6am breakfast, possible flight at 10am. If not, helicopter booked to take us across. Fingers crossed. …Yesterday was quite funny. I have no idea what I said or how I sounded but I think I shocked everyone-NOT a pushover, sweetness and light yes but ‘I wouldn’t mess with her’. Aussie kept offering me food (‘When are we getting lunch? !’), two other guys kept exchanging knowing/amused glances and I think one fella promoted me to the Army (being ex-Army himself I find this quite the compliment). But somewhere in amongst all that was some form of appreciation. ‘It was very direct and honest. We were all just too British to say it’. And I think that’s when one couple said, ‘She’s the spit of our daughter, sits quietly and then explodes’.